Google and Netflix Open Source Kayenta, An Automated 'Canary Analysis' Tool — A ‘canary’ release is one that’s deployed to a small subset of users to reduce the risk from deploying a new version of software into production. Kayenta is used to analyze the canary’s behavior. GitHub repo. AWS Secrets Manager: Store, Distribute, and Rotate Credentials Securely — A new service from Amazon (one of many) focused on storing secrets and credentials which can be rotated with custom AWS Lambda functions. The pricing has attracted some criticism however ($0.40 per month per secret). 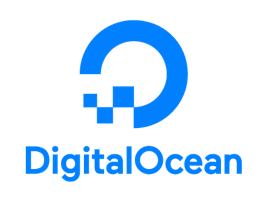 Improve the Performance of Your App with Flexible Droplets — DigitalOcean is the easiest cloud platform for teams to deploy, manage, and scale applications of any size. Choose between 1-3vCPUs and 1-3GB RAM with 60 GB SSD for only $15/month. Monitoring and alerts included. HAProxy and Consul with DNS for Service Discovery — A ‘zero-touch’ method for integrating HAProxy with Consul by using DNS for service discovery available in HAProxy 1.8 (the popular software load balancer). Another Reason Why Your Docker Containers May Be Slow — A brief debugging story that shows how containerized processes compete for resources. Web Authentication: A Proposed API for Accessing Public Key Credentials — There’s initial support in Firefox with more browsers to come soon. Serverless Status: The Latest Serverless News — AWS Lambda, Azure Functions, or OpenFaaS fan? Check out our weekly newsletter dedicated to serverless architectures, platforms and tools. Here’s the latest issue. Whistle: An HTTP/HTTPS and WebSocket Debugging Proxy — A cross-platform Web debugging tool for the capture, manipulation, and replay of requests. Built with Node.js. Compete in the Open Source Spotlight Challenge — Build an open-source app, boost IP security & gain a $250 submission reward + entry to a 20k prize pool. CI Lovers, Which CI Tool Do You Prefer? — Reddit’s /r/devops discusses their favorite continuous integration tools. WebOps Expert? Sign Up for Vettery — Developers with four-years experience average five or more interviews during their first week on Vettery.